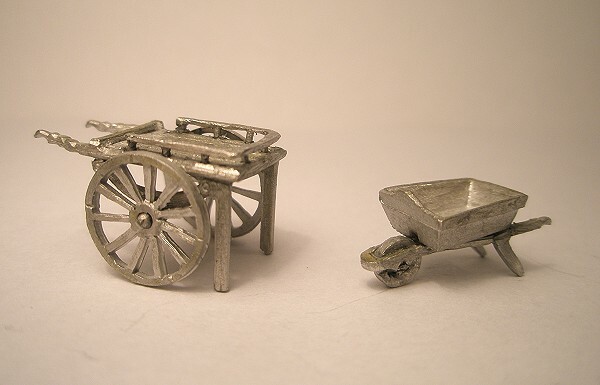 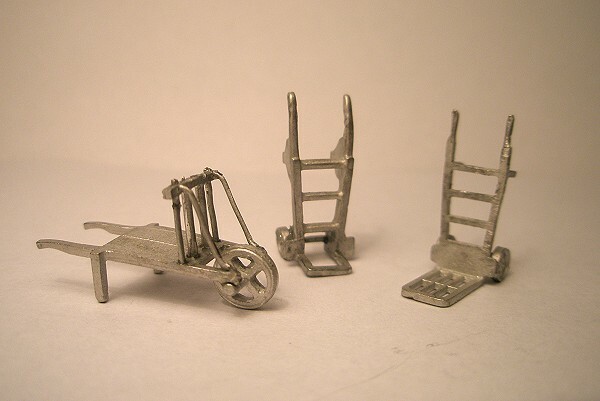 I've been enjoying myself assembling a variety of 4mm trolleys and barrows for Farthing. 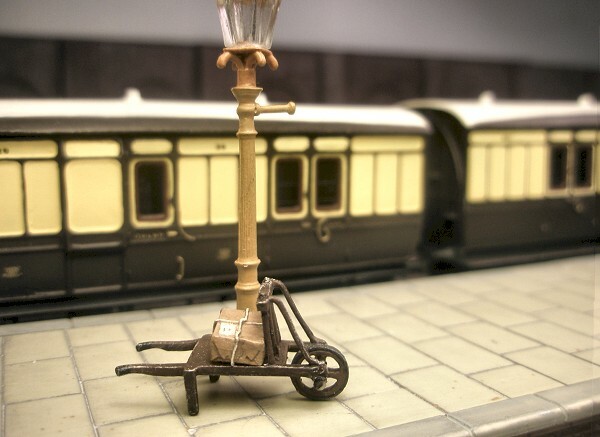 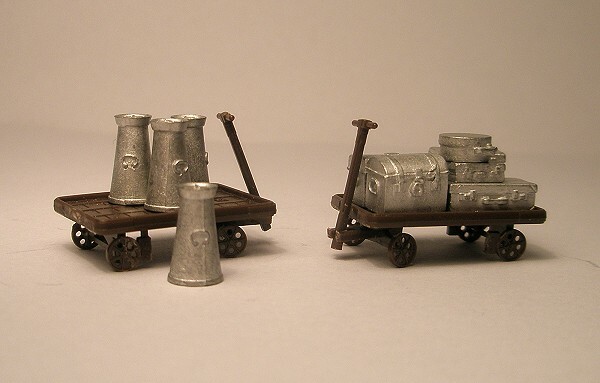 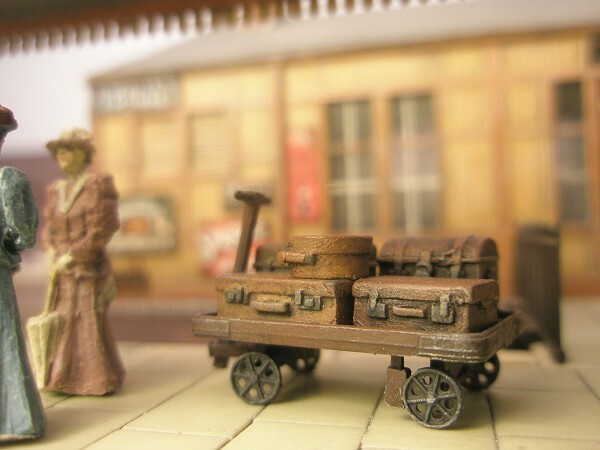 I have yet to find a detailed study of the trolleys and barrows used by the GWR, although photos of platforms usually show some interesting examples. 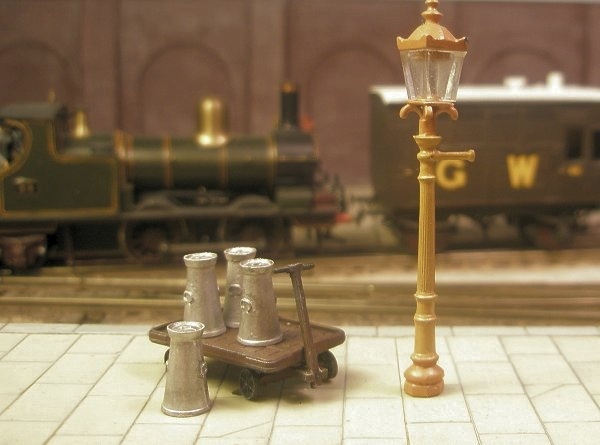 There's also a nice little assembly of photos of trolleys and barrows in Vol 2 of Stephen Williams' "Great Western Branchline Modelling", although these appear to be taken in the latter years of the company.